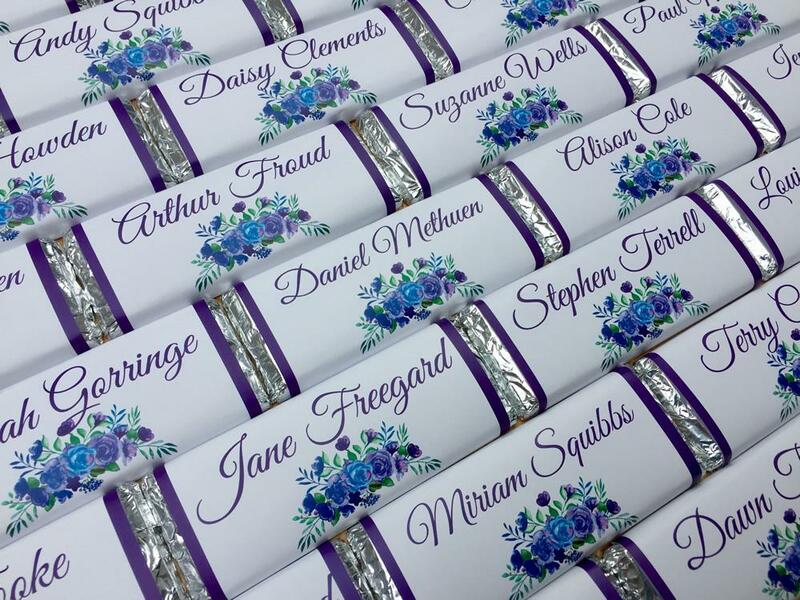 Give your wedding that extra special touch with our bespoke personalised chocolate bars. A fun & unique way to incorporate chocolate into your special day. 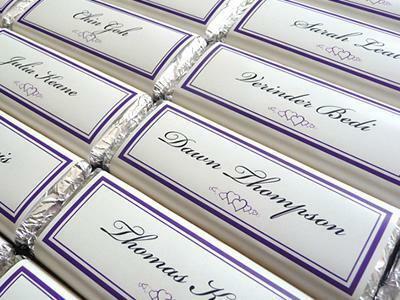 We create affordable and stunning chocolate wedding favours that can be personalised to suit your wedding. Choose an existing design or allow us to design something that matches your wedding stationery. 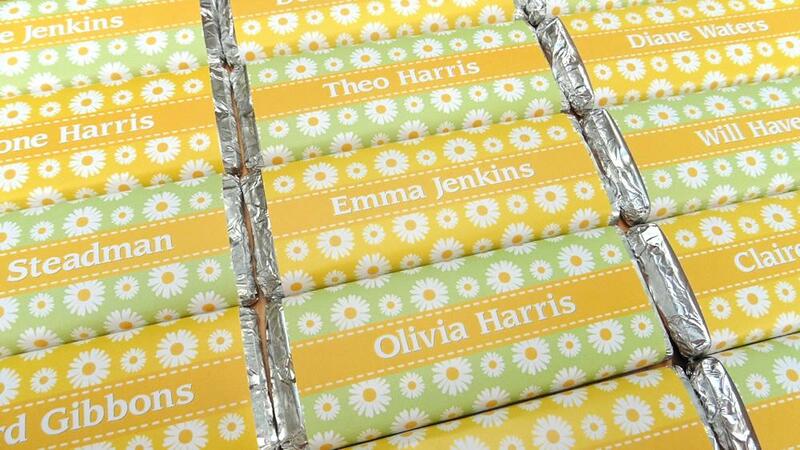 Our 40g chocolate bars can be fully customised with your guest's names or with a personal message. 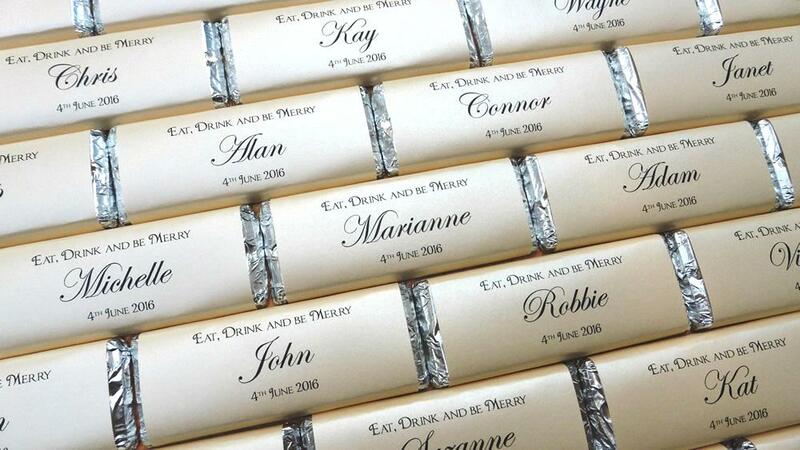 You have the front & back of each bar available to personalise. 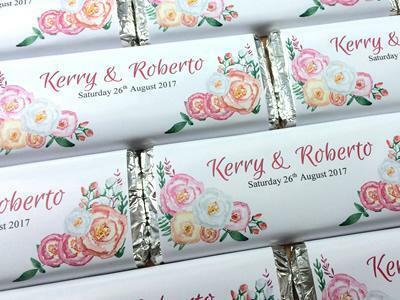 Our chocolate bars make unique wedding invitations, place settings, menu bars or thank you favours for weddings. Whether you opt for a classic, modern, stylishly elegant, or a more fun & wacky route in terms of design...it's totally up to you! The more detail you can provide about your wedding colours, style, venue, theme, the more inspiration we have to get creative & come up with a design for you. 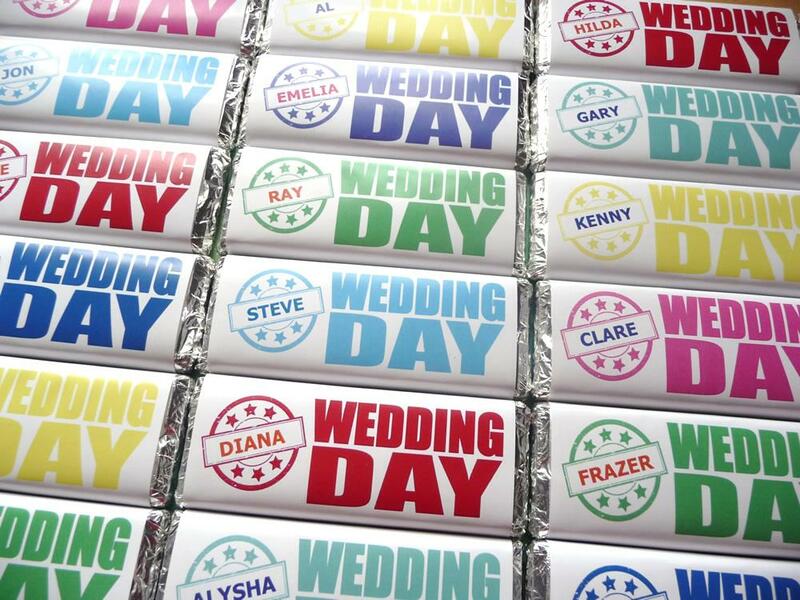 Why choose WrapperStar for your wedding favour chocolate bars? 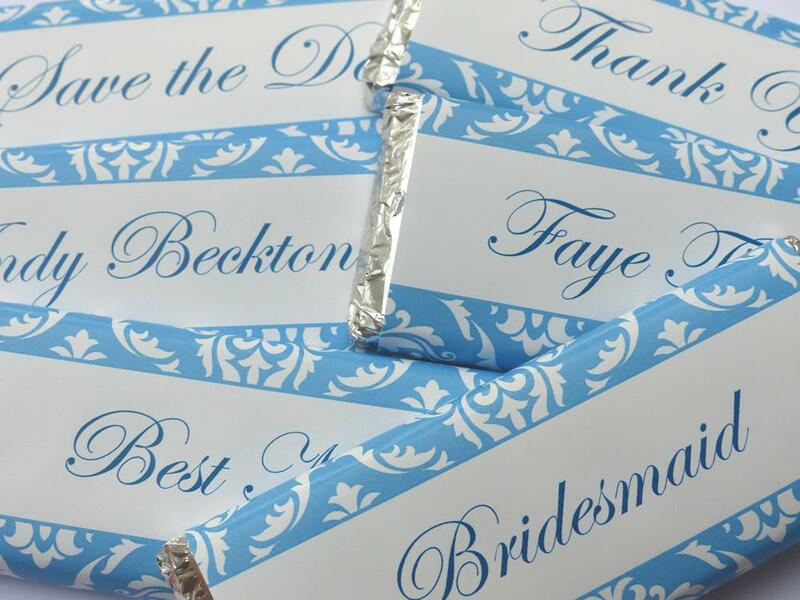 We are specialists in creating fully personalised chocolate bars and have been crowned Best Wedding Confectionery Specialist UK 2018 by LUX Magazine and are extremely proud to have been awarded numerous other accolades along the way. 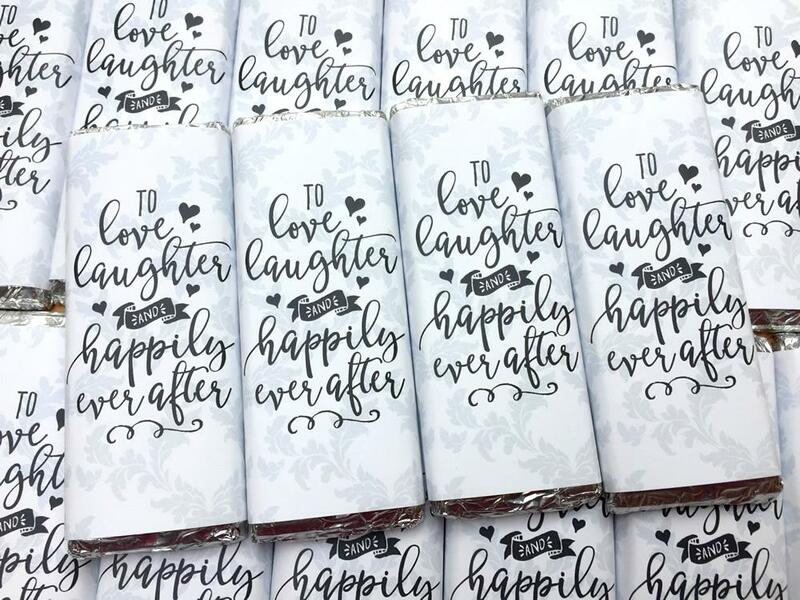 Every couple's wedding is individual and important to us, and because we are a small business & we care, every bar is wrapped by hand with time, attention & love. Ally is a true professional and nothing is too much trouble! I explained my circumstances about having to move my wedding forward due to my mum in law to be, being of ill health and I had my order completed in days. 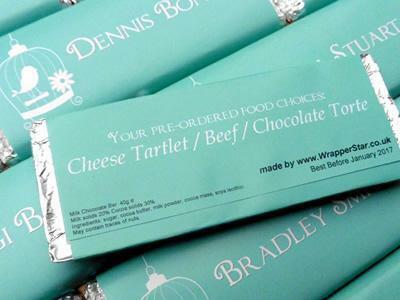 It's such a personal touch to add to our special day, having our own designed choccie bar invite. Ally really does put the "star" into WrapperStar...amazing. Excellent quality, really well produced, and very tasty! 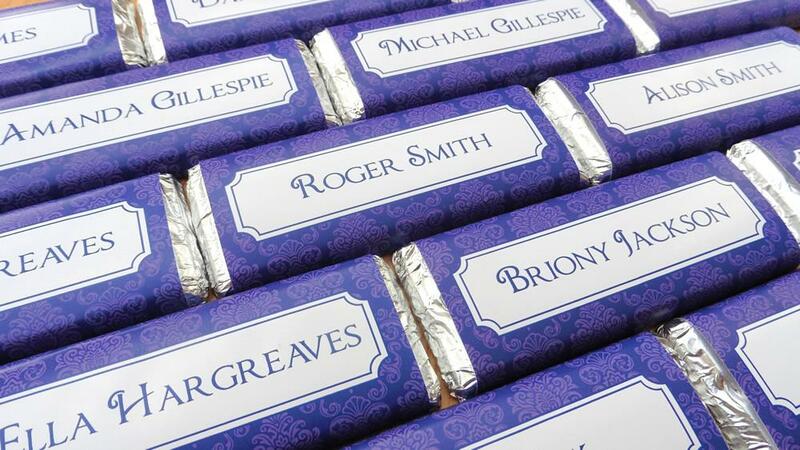 We used WrapperStar's chocolate bars for our guests place names at our Wedding, and they were just brilliant. Excellent quality, really well produced, and very tasty! The guests loved them, they're just a bit different, and Ally's service was great. We would definitely recommend this product, and company as really very good! Helpful and professional every step of the way! I used WrapperStar for Wonka Bar Wedding Invitations. I have to say that Ally really was helpful & professional every step of the way! The invitations were perfect ! Exactly what I wanted in perfect top quality condition. The chocolate tastes absolutely lovely & the extra touch cellophane wrap is well worth the extra pennies. I can't speak highly enough of the service & standard & especially Ally's care & attention to detail to goes with it. These original favours are an absolute fab find! As a planner its lovely to be able to offer clients something they have never seen before - quite a difficult thing to accomplish nowadays but Ally does this with bells on! From start to finish her service has been flawless and I cannot recommend her highly enough. 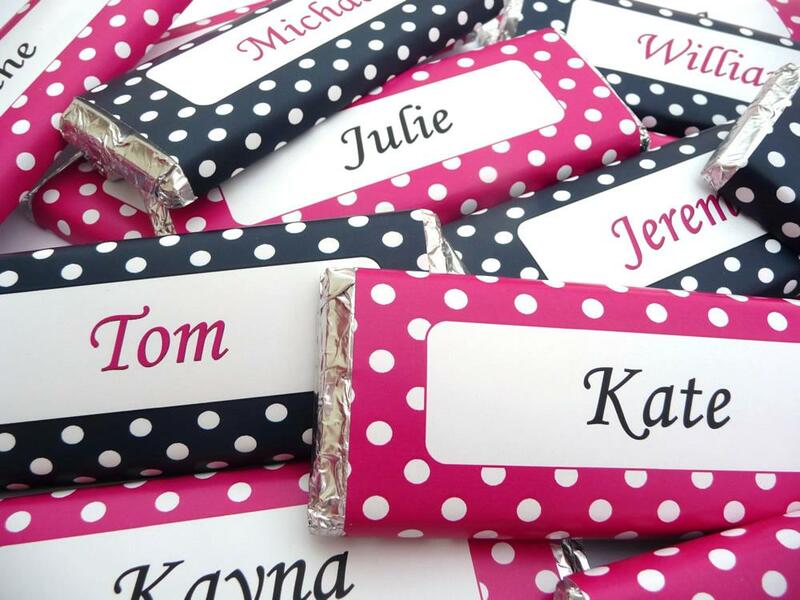 I attended a wedding in the UK last week and couldn't help but noticing the very unique and fun chocolate bar place cards which was used to mark my place at the table. I just wanted to write and tell you how impressed I was with the look, feel, and of, course taste, of this unique table place card setting. Ally was professional, attentive and reliable! I ordered wedding favours from WrapperStar and I can honestly say that I have never received such a tip top service. Ally was professional, attentive and reliable. 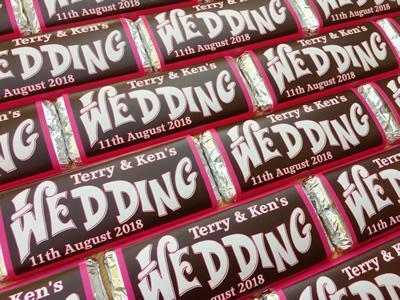 Not only did she produce fantastic chocolate bars and design a wrapper personal to my theme, she paid ridiculous attention to detail which is exactly what a bride needs! Ally comes highly recommended especially for your wedding day when you really do need a first class service. Working with Ally was so easy! I recently ordered some wedding favours from Wrapperstar. I cannot recommend this company highly enough. We live overseas but our wedding was in the UK which meant organisation was a little complicated. Working with Ally was so easy! She was so friendly and responded to our emails so quickly. Our initial ideas were listened to and I fell in love with the first deign she sent. The product is fantastic. High quality and very personal. Organising a wedding is hectic and having such great customer service was very calming. Thoroughly recommended. The perfect finishing touch to our wedding! 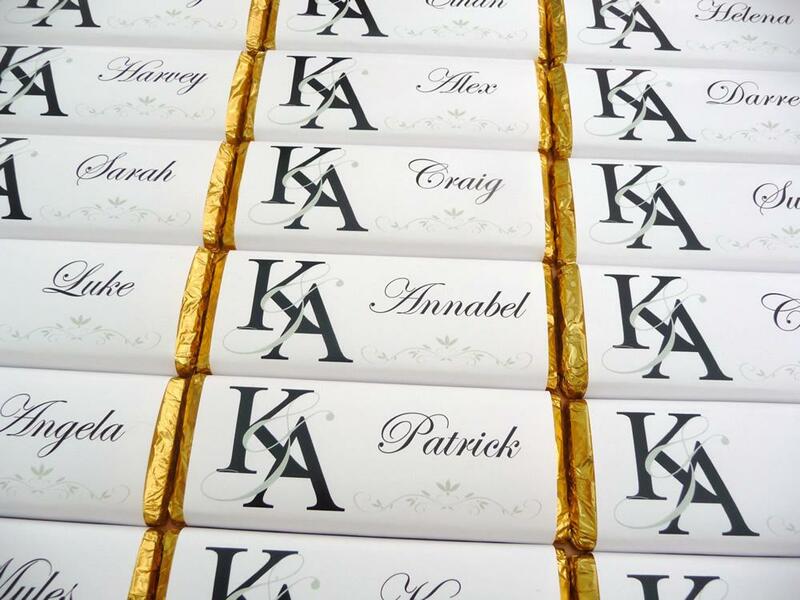 Our personalised chocolates were the perfect finishing touch to our wedding. We were able to design our own to the colour scheme that we wanted. They were ready so quickly and it was great that we could collect them as it saved us some money. Our guests loved them and thought the chocolate was delicious. Perfect!